With a nucleus of neo-Christians, Cagayan was now ready to become part of a new ecclesiastical jurisdiction. 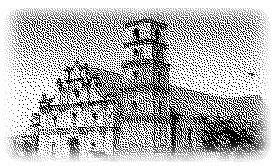 In 1595, together with Cebu and Nueva Caceres, Nueva Segovia was made a bisphoric, suffragan to the Archdiocese of Manila. The territory of the new diocese was to be the whole of northern Luzon--from Zambales, Tarlac and Pangasinan all the way up--but the seat of it was to be Nueva Segovia in Lallo, Cagayan. For reason of geography and military exigency, the seat of the diocese was later on transferred to Vigan, and since then Cagayan would not be home to any bishop until the creation of the Diocese of Tuguegarao in 1910 to be known, since 1975, as the Archdiocese of Tuguegarao. In his first report to the Pope, the Bishop of Nueva Segovia, from his seat in Lallo, recounted how the grace of God had won over the natives of Cagayan to the Flock of which Christ is the Shepherd. This Bishop, Miguel de Benavides, O.P., would later on become Archbishop of Manila where he founded the University of Santo Tomas. This is the reason why Cagayanos feel that although the University had its inception in Manila, its conception must have taken place in Cagayan.